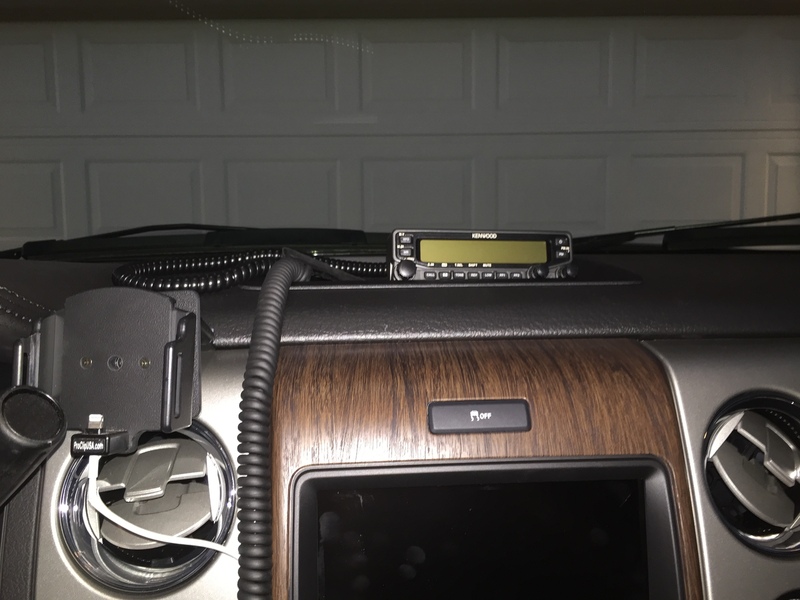 I finally got my TYT MD-9600 dual-band mobile installed in my F-150. 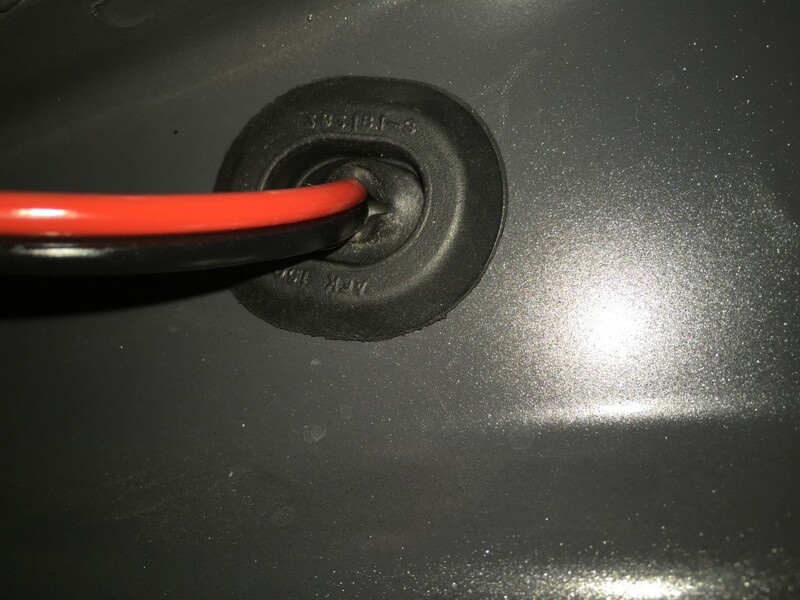 I mounted it to the plastic plate in the middle of the dash (photos to come later…). Side B can only be used for VHF. If you set it to UHF mode, you can program it as such, but it won’t work. The published specifications don’t really match the device. Instead of 2 power levels (25/50), there are 4. I’m guessing it’s something like 5/10/25/50, but I guess we’ll have to wait for someone with some test equipment to try it out. I actually have one more of these I’ll probably put up on eBay shortly. Here‘s the spec sheet. and here‘s the current latest software for it. I’ve heard several hams ask recently what is the best/quickest/cheapest way to get started with APRS. I’ll try to answer that here. I didn’t have much help in this and had to sort it out myself, so maybe there are better ways, but this is what worked for me. First, let start with what APRS is. APRS stands for Automatic Position Reporting System. While it can do other things too, most of the APRS traffic I see going through my iGate is position reporting. Basically, you report your GPS positioning data to a central repository where you and others can view it. There’s lots more info out there about it, but if you’re reading this, you’re probably looking to skip some of the background and jump right in? First: It might go without saying, but you need an amateur radio license. Even if you’re posting your data only via the internet, that message will likely be transmitted over RF and thus it needs your station identifier. Second: Go to openAPRS.net to create and activate a free account. Follow the instructions to verify your account. Third: For iPhone users, get iAPRS. It’s free and works great. The author’s page is here. There are other APRS apps out there, but I haven’t used or tried them (and most aren’t free), so feel free to explore them yourself. 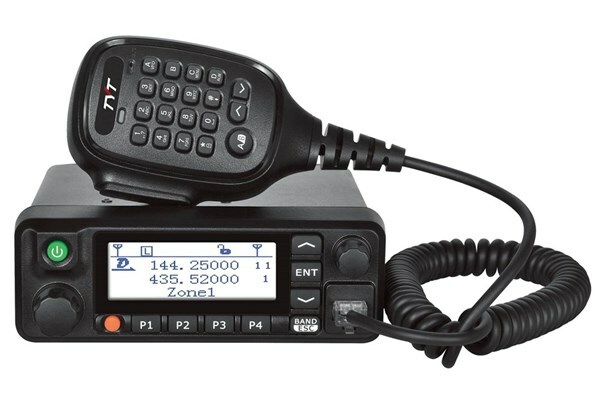 Fourth: Request an APRS-IS passcode for your call sign on this page. Fifth: Launch the app and enter your above credentials in the various setup screens and you’re off and running! Visit the app author’s page linked above for help setting it up properly. It’s pretty straightforward. Well, my truck is now back from the shop (don’t ask), so today I finally got around to doing my mobile install. For this install, I’m only going to have 2m/70cm – no HF. I decided to put in my Kenwood TM-V71A. While I really like having this in the house as my main base radio, these days, I just am not having so much time while at home to get on the radio. Plus, I want both bands available for ARES work, so in it goes! First was the antenna install. 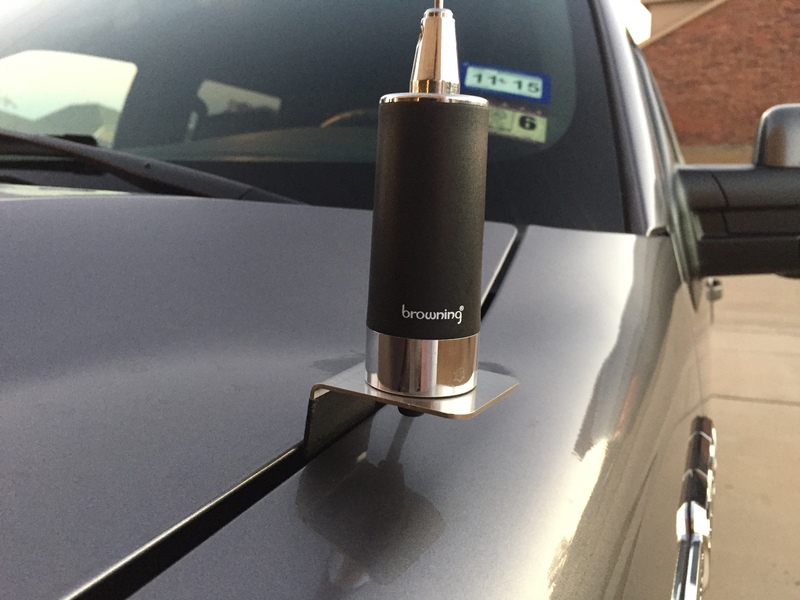 I am reusing the Browning antenna I pulled from my Ford Flex before selling it and using a vehicle specific NMO bracket from theantennafarm.com. I purchased a Browning BR-1010 NMO mount to go with it. There is the slightest contact between the bracket and my hood when closed, so for now I’ve put a couple wraps of black gaffers tape on it to protect the paint. I still need to find a permanent solution. Next I needed to get the antenna wire and power through the firewall. Power was run direct from the battery (passenger front right corner). Both went through grommets and into the space behind the glove box. 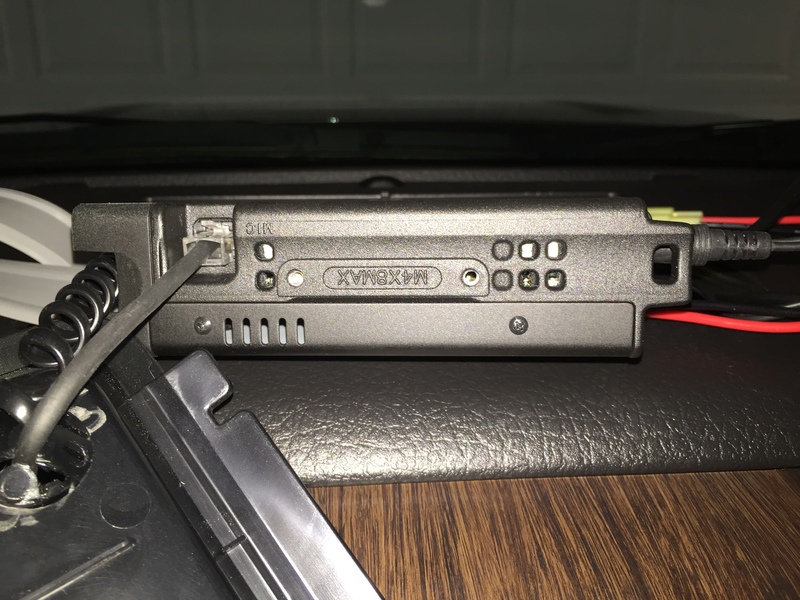 I used jumpers from PowerWerx.com to go from the battery ring terminals to Anderson Power Poles and again from the OEM T-connector at the back of the radio to Anderson Power Poles. This should make connection changes later simple and quick. After that it was a matter of getting the wires up through the dash and to the center tray, where I intended to place my radio. 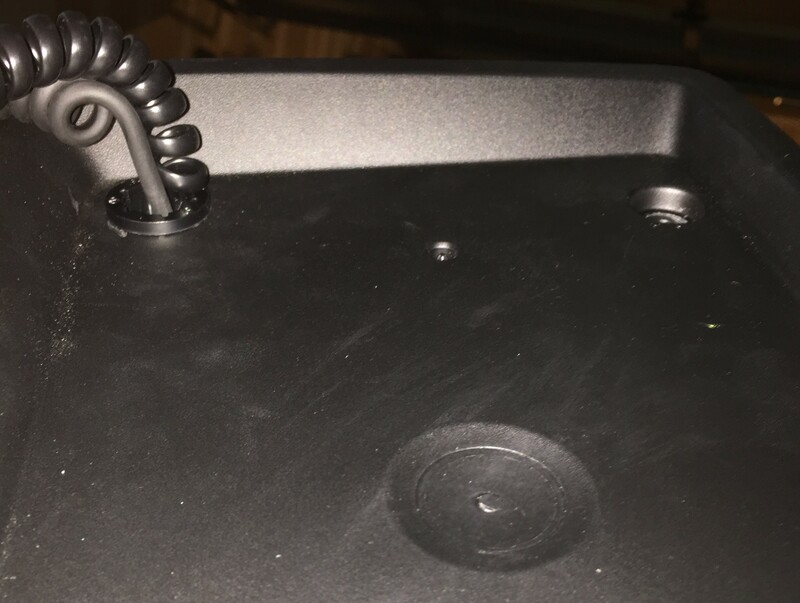 Originally I was going to mount the radio to the top of the tray, but it fits perfectly beneath it, so I thought it would be nice to hide it there and just make a hole for the speaker mic and remote head cable to come through. For the remote head, I simply cut an old telephone handset cable and crimped on an RJ-45 connector to match the factory cable. As you can see I do have a ProClip mount for my iPhone 6, so I may purchase an extender plate for that and put the control head there. For now, I generally leave the head laying down below where you see the RCA connectors – there’s a small try there intended to hold a cell phone. Would love to hear anyone’s comments and suggestions for improvements. Kudos to my [UPDATE 2017-07-29] as-yet-unlicensed brother Ben [KG5SCH] for spending his morning being the brains behind this operation! 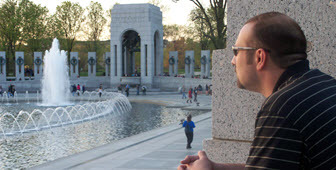 I’ve been thinking for a while now how I can best leverage Amateur Radio as a technology and a skill set to assist in various emergency and disaster relief services that I participate in. To that end, I would really like to build a “Go Kit” or “Go Bag” that can be easily mobilized for different purposes on extremely short notice. I’ve been reading different examples and approaches online. I really like the orange Pelican case idea at http://www.emergencyradiogokit.com/. 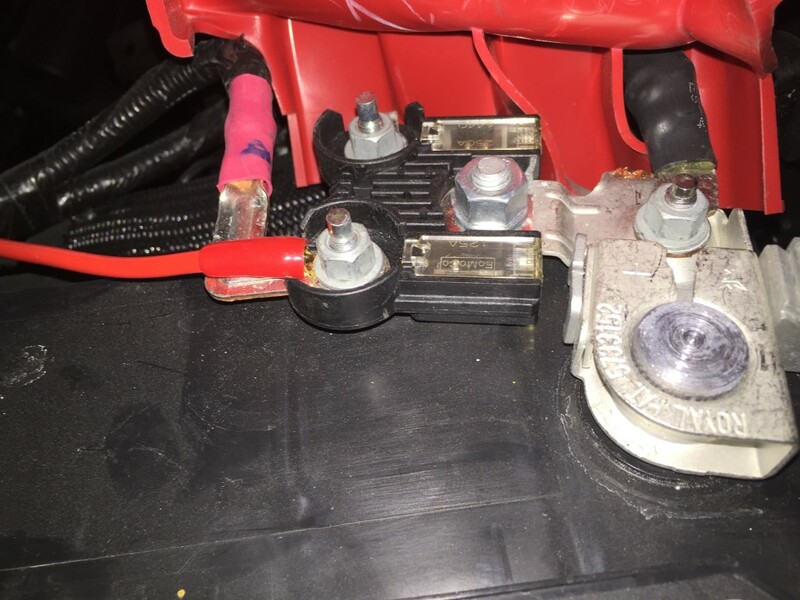 The problem is, most of the examples I’ve seen assume there will be A/C power of some sort, even if they do provide for connection of a back-up battery. For me, it’s a bit more difficult to lug my huge generator around anytime an emergency arises. I want my Go Kit to be self-sustaining for some as yet to be determined number of hours. To accomplish that, of course, I need some amazing battery tech. I’ve been looking at Lithium Polymer batteries which can hold a high capacity charge for months on the shelf. This should actually suit me pretty well. The challenge is finding something with suitable capacity at a reasonable price. 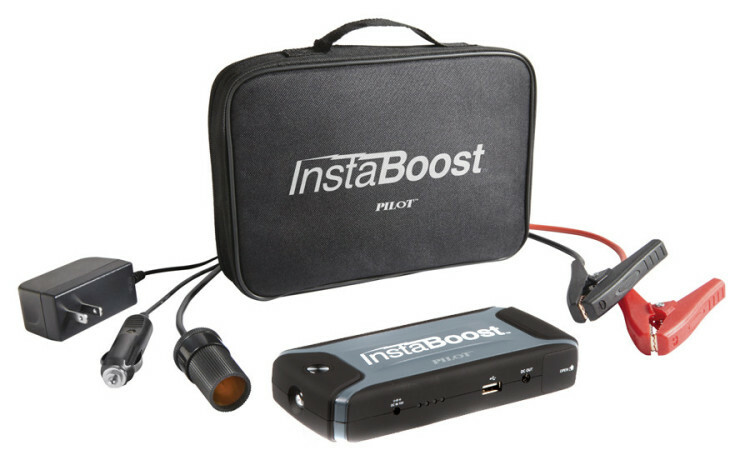 As luck would have it, I was walking through my local home improvement big-box store and saw one of these little mini car battery jumper modules – the InstaBoost. The packaging claims a 10,000 mAh LiPo battery which can hold 70% of its charge for 6 months on the shelf. So…I picked one up to test it. Right now I’ve got it connected to my Kenwood V71A and it’s working great. Receive is fine of course and transmitting on high-power doesn’t seem to phase it either. 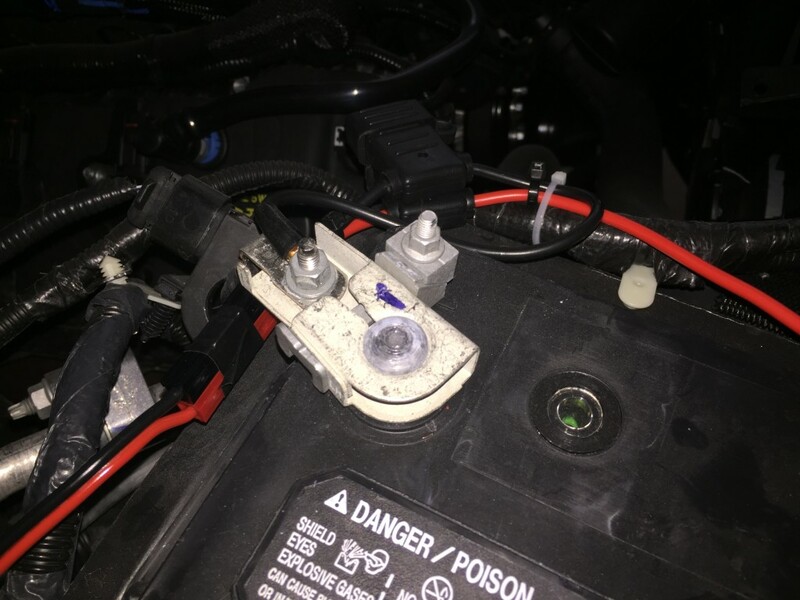 The problem is, which I just discovered after testing it, that it has a 10-minute shut-off timer on the battery connection terminal. This means I’ll have to use the female cigar lighter dongle, which I presume should provide constant power without a timer. 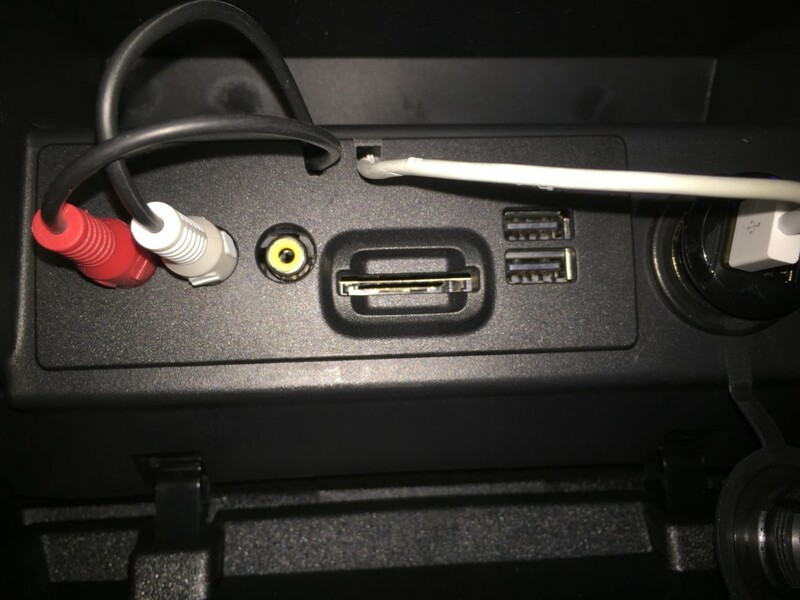 My only question now is what that dongle connection is rated for. I’m guessing it’s not really rated above 2 amps or so. I’m not 100% sure if I’ll find that information documented anywhere, but if I do, I’ll update this post. UPDATE 2017-07-29: I ended up by a 12AH LiFePo battery from bioennopower.com, model BLF-1212A. It really is great, comes with Anderson Powerpoles, and is worth every penny! Well, it’s been a while. I know and I’m sorry. smile October brought my new baby boy, followed by travel to Spain and Sweden for work, then the holidays. But now is 2015. New year, new beginnings, right? In December I bought (well, leased actually) a new F-150. So excited to get my radio and antenna mounted. 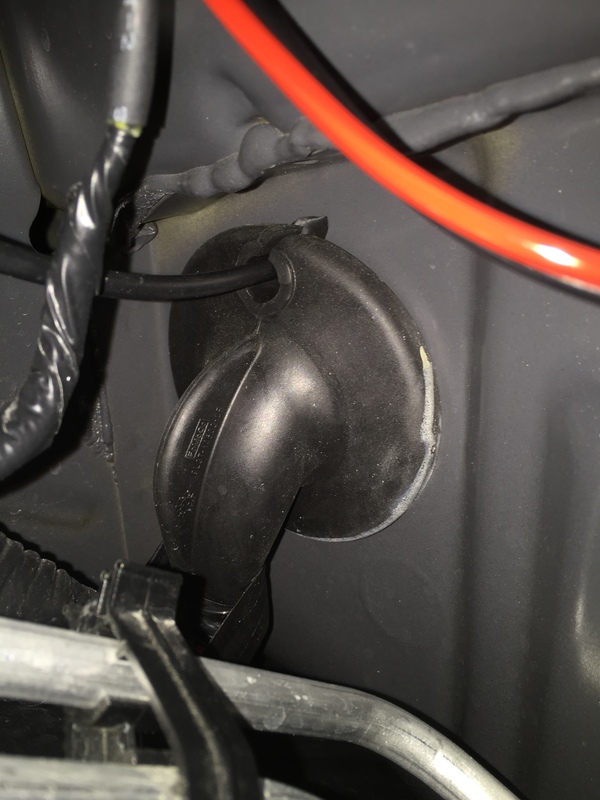 I didn’t pull the NMO mount out of my Ford Flex before I sold it, so now I have to figure out how I’m going to mount my antenna. 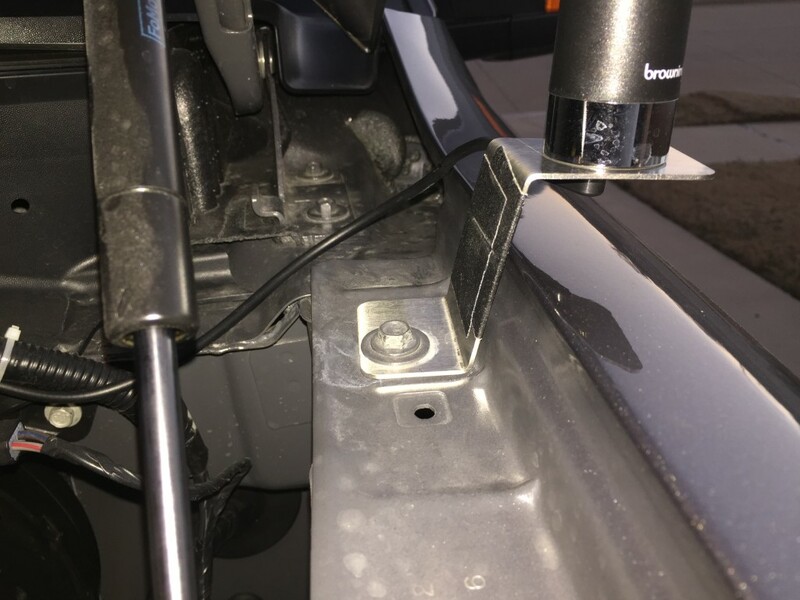 The radio mount will actually be easy, as there is a tray seemingly made just for this purpose in the center of the dash area. Perfect. Thoughts? 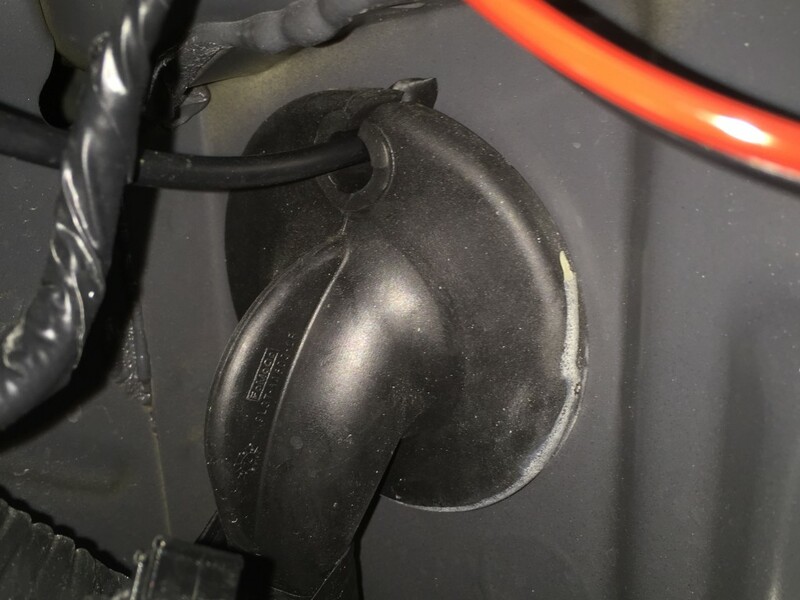 Anyone with experience mounting radios and antennas in a 2014 F-150? Comment below! Overheard a couple operators discussing a new HT the other night – the Wouxun KG-UV8D. It has a large color display and some other nice features. Hey – if it doesn’t have the Squelch Bug of the UV-5R, I’m interested! Since I just bought the Baofeng UV-82C, I think I’ll hold off for now, but soon enough, I know that bug’ll bite again. Looks like the Grapevine Amateur Radio store has it in stock! 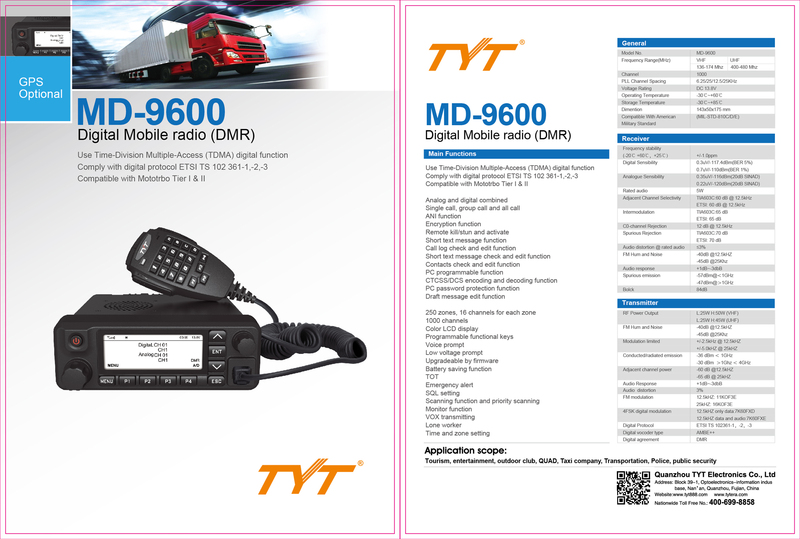 I’ve purchased a Kenwood TM-V71A to replace my Yaesu FT-2900R, which now gives me cross-band repeat capability. For now, it and the antenna are upstairs in the office, but I’ve got a Browning BR-180 antenna and Browning BR-311 lip mount coming for the car, so now I need to decide whether to put the Yaesu or the Kenwood back in the car. I’ve really enjoyed being able to wander around the house with my HT and still be able to hit my preferred repeater by using cross-band repeat, but I’d like to also have 70cm and >5W available to me in the car. Special thanks to Mark KF5VQY for helping me get the cross-band repeat sorted out last night! Also hat tip to David AF5DN‘s video instructions.